Variety reported on Jan. 5 that Johansson, who played the title role in “Lucy” and Black Widow in Marvel’s “Avengers” movies, had signed on. “Ghost in the Shell” is a popular manga series by Masamune Shirow. Director Mamoru Oshii has made animated films based on the comic books. The story follows the exploits of a member of a covert ops unit of the Japanese National Public Safety Commission that specializes in fighting technology-related crime. Known in Japan as “Kōkaku Kidōtai” (Mobile Armored Riot Police), “Ghost in the Shell” has also been the basis of video games and a TV series. Whitewashing is the practice of casting Caucasian leads in film adaptations of works in which the lead characters are people of color. M. Night Shyamalan’s big-screen version of “The Last Airbender” received similar criticism. A more recent example is “Edge of Tomorrow,” which is based on the novel “All You Need Is Kill” by Hiroshi Sakurazaka. The protagonist, Keiji Kiriya, was changed to William Cage and played by Tom Cruise. An online petition directed at DreamWorks, launched by Julie Rodriguez at www.thepetitionsite.com, has collected more than 24,000 signatures toward the goal of 25,000. 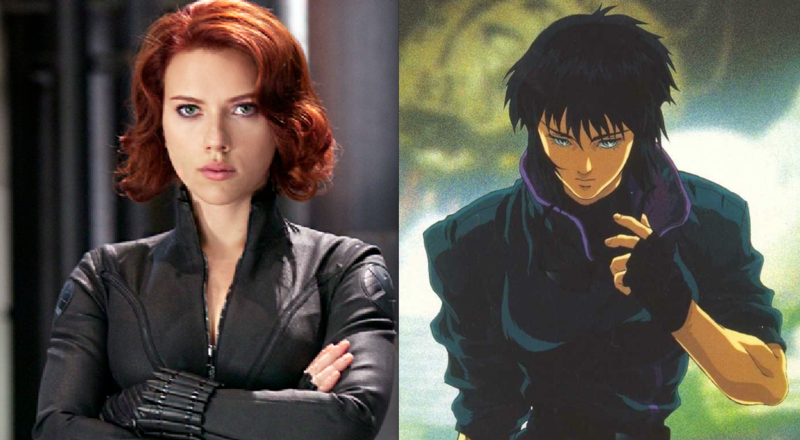 “Fans of the iconic 1995 animated Japanese sci-fi film ‘Ghost in the Shell’ have been anticipating a live-action remake for years — but now, instead of casting an Asian actress, DreamWorks has selected Scarlett Johansson for the lead role!” Rodriguez wrote. “The film revolves around Major Motoko Kusanagi, a member of a futuristic security force tasked with tracking a mysterious hacker. “The original film is set in Japan, and the major cast members are Japanese. So why would the American remake star a white actress? The industry is already unfriendly to Asian actors without roles in major films being changed to exclude them. One recent survey found that in 2013, Asian characters made up only 4.4% of speaking roles in top-grossing Hollywood films. Summer Noblé , a student at Laney College, wrote in a Huffington Post blog, “Many of us who enjoy cinema are conditioned to think of whiteness as the default. As if there weren’t already enough roles written for white actors, Hollywood decides that no one could’ve been a better fit for this Japanese-speaking character living in Japan than, you guessed it, a white actress. A bit of a slap in the face to all the Japanese actresses that suddenly became unworthy of the big screen, don’t you think? “This certainly isn’t an isolated incident, and familiar patterns of Asian erasure and underrepresentation are perhaps even more apparent in fashion than in film. In November 2014, Vogue Japan’s 15th anniversary issue sparked controversy by choosing Australian model Miranda Kerr to model several Japanese-inspired looks and culturally significant themes. Critics rightfully responded with not only claims of cultural appropriation but suggestions of Japanese models who would have been perfect for the shoot, including Devon Aoki and Tao Okamoto. In a blog post on Racebending.com, which she co-founded, Marissa Lee wrote, “Hollywood has been casting in this fashion since the beginning of the silver screen, whether through deliberate exclusion of actors of color or hand-wringing about ‘marketing’ and ‘box-office potential.’ ‘Conventional wisdom’ argues that DreamWorks needs to whitewash the film and cast a ‘big name’ actor like Scarlett Johansson for the film to succeed. “Year after year, the Motion Picture Association of America has released statistics showing that the majority of moviegoers are not white men. Women have comprised a larger share of moviegoers than men since 2009. In 2013, ‘Hispanic,’ ‘African American,’ and ‘Other’ (including Asian American) moviegoers all had higher annual per-capita movie attendance than white moviegoers. The average ‘Hispanic’ moviegoer went to the movies 6 times and the average African American and Other moviegoers went 4 times, versus ‘Caucasian’ viewers, who only went to the movies 3 times. DreamWorks has not publicly responded to the protests.